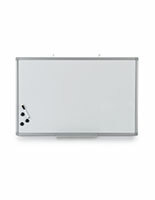 Our magnetic whiteboards are excellent for taking notes and displaying papers in one convenient place. 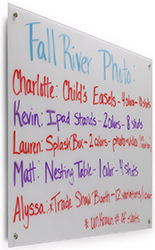 These versatile writing surfaces are made for schools, offices, and restaurants where quick, changeable messaging is important. 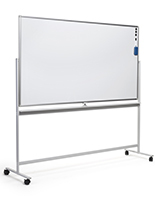 Magnetic whiteboards, or magnet receptive markerboards, add an extra dimension by letting users stick printed charts, fliers, and drawings to the surface with magnets. 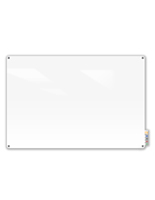 Teachers can easily add lessons and pictures to the white board without having to write them out by hand. 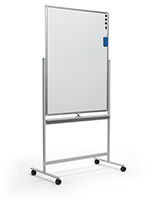 The magnetic whiteboards for dry erase markers also facilitate office presentations — managers can easily pin sales data and earnings reports to the write-on displays. 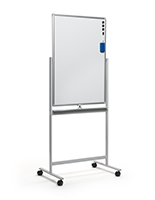 What else makes these magnet receptive white boards ideal for collaboration? 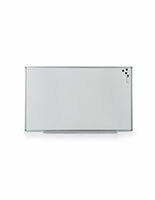 These magnetic whiteboards can feature strong tempered glass surfaces. 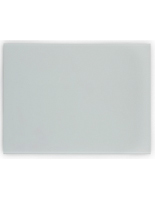 Not only is this material durable, but it's non-porous. 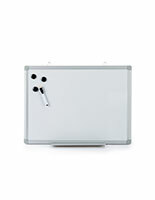 This means that users can write with wet erase markers in addition to dry erase utensils. 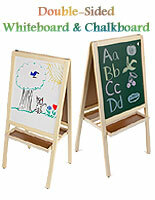 There's no need to worry about ghosting with high contrast liquid chalk pens! 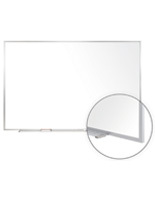 Make sure to choose a markerboard with "tempered glass" in the specifications for using both wet and dry erase markers. 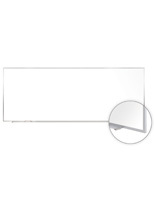 Magnets make it easy stick papers, posters, and print-outs alongside written messaging. 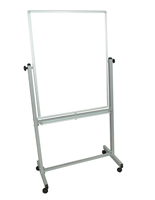 Not everyone is an artist — sometimes it's faster and easier to present charts, artwork, and instructions with pre-printed graphics. 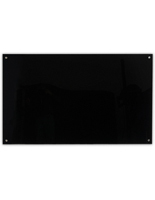 Our magnet receptive write-on boards are sold in a variety of finishes, not just white. 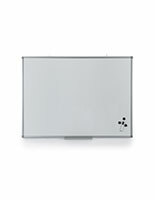 Want the classic look of a blackboard but you want to use modern utensils? 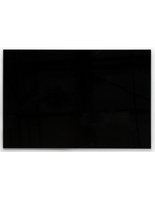 Our black finished writing surfaces are ideal for brightly colored liquid pens. We also offer gray models that create a balanced backdrop for both light and dark ink. 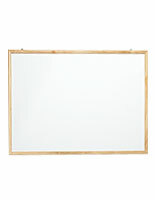 Where can these magnet receptive markerboards be placed? 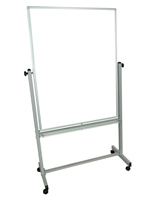 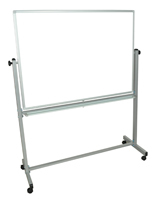 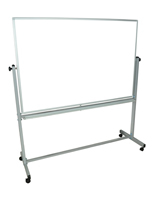 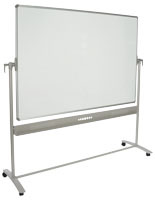 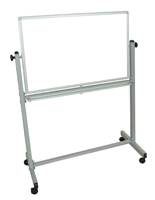 Our whiteboards for dry erase markers are available in wall mounts, wheeled stands, and stationary easels. 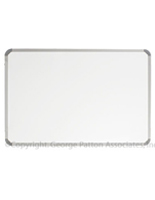 Accommodate any room's space requirements with these different placement styles and sizes. 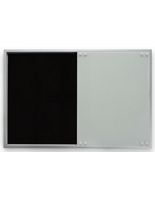 Wall mounted markerboards feature both framed and frameless designs. 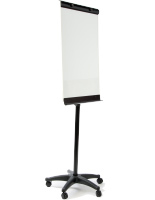 Models with wood or metal frames are made for affordability and come with either rounded or angled corners. 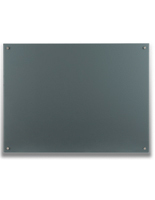 Framed writing surfaces have a thin design and are mounted very close to the wall. 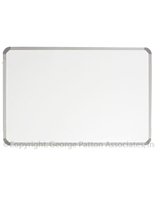 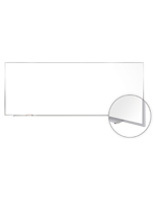 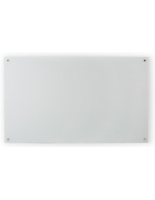 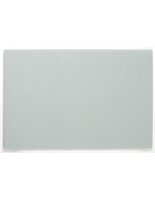 Frameless tempered glass white boards have a stylish, sleek appearance. 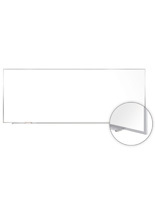 Each unit is mounted to the wall with a 1" metal standoff at each corner. 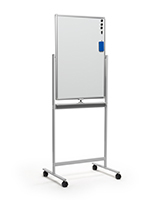 Floor standing whiteboards with wheels are ideal for colleges and office buildings. 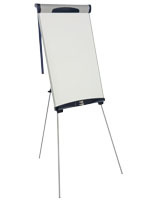 These mobile write-on stands can move to the classroom or conference room where they're needed the most. 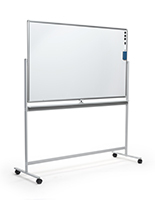 In addition, most models are double sided with an easy-flip design, increasing their available writing space. 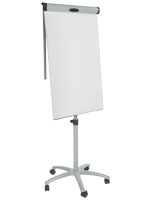 White board easels are portable in a different way than their rolling cousins. 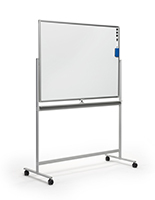 These dry erase tripods fold up for long distance transportation, making them excellent for bringing presentations on the road. 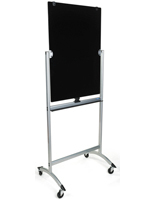 Salespeople, trade show exhibitors, and food truck operators can all benefit from these portable markerboard stands. 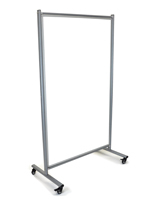 Our write-on stands and wall mounts come in a number of sizes to meet any organization's needs. 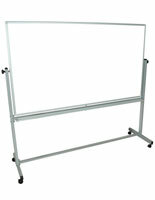 This ranges from compact 24" x 36" models to the room-filling 12' x 4' boards! 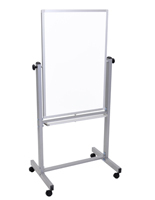 Both small offices and large corporations will find presentation tools to match their conference rooms and budgets. Easily accommodate the smallest classrooms to the largest lecture halls with our wide range of dry erase displays.